Pat Hayes - New Employee Announcement | Aqua-Tech Sales and Marketing Inc. Please join me in welcoming Mr. Pat Hayes to Aqua-Tech Sales and Marketing Inc. and Somers Environmental Products Inc. as a Sales Representative. Pat started on Tuesday January 3rd and comes to us with 30 years of experience in the HVAC and Hydronics industry including almost 9 years – most recently – driving the commercial/industrial business growth of another boiler manufacturer. 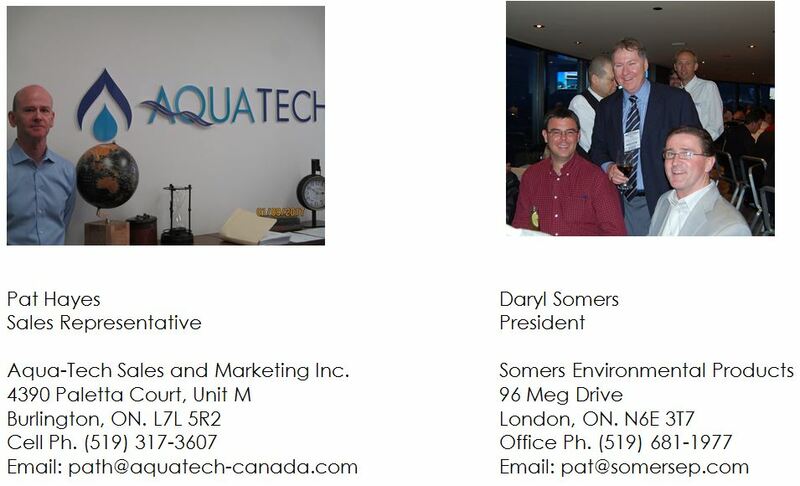 Pat will be working out of the Somers Environmental Products office in London under the direction of Daryl Somers and will also team with our Aqua-Tech Sales Group in the Kitchener / Southern Ontario Territory as a commercial boiler specialist to service and support our boiler product offerings. Pat is on the road drumming up boiler business right now, so join me in giving him a warm welcome to the best team of sales representatives in Canada!